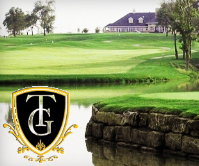 Tiffany Greens strives to make a good first impression and deliver a positive experience throughout. 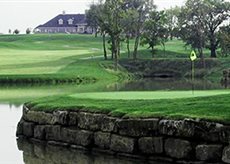 This is a notion with which many Kansas City area golfers agree, leading them to often choose the course as the best track to play in the Northland. 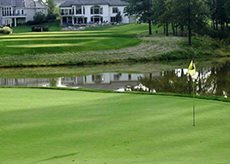 The Robert Trent Jones, II designed course features zoysia fairways and bent grass greens. It measures 6,977 yards from the Championship tees, which is just one of five sets of tees players may choose to enjoy the spacious, par 72 course. Players will get a quick sense about Tiffany Greens right from the first hole. At 510 yards, the par 5 forces a quick decision off the tee. Golfers need to work from the green backwards, planning how aggressive they want to be. Tiffany Greens is also atypical because the front nine doesn’t end at the clubhouse. The turn comes at the farthest point from the clubhouse, which means the wind direction can make things play entirely different on the second nine. Wind can create a particular issue on the back nine with #10, a very challenging par 3 that plays to 188 yards from the back tees with plenty of water to contend with. Number 10 is like all the par 3s at Tiffany Greens, all of them involve a lot of water. “One thing to remember is all par threes are shots over water,” Burchett said. “It’s very scenic, very beautiful.” The large number of water holes help make Tiffany Greens a place where precision is important. Trueblood believes the course requires a thoughtful approach. He also lauds the Tiffany Greens groundskeeper. For Martin and many other regulars, Tiffany Greens is a favorite which never disappoints. Indeed, Tiffany Greens is so enjoyable that many former employees return to the course. Burchett himself began his golf career as a cart kid when he was in high school shortly after the course opened in 1999 and has recently returned after getting his Professional Golf Management degree at Methodist University in Fayetteville, NC. Event Coordinator and Food & Beverage Manager Krissy Power, has also returned to Tiffany Greens. A former beverage cart attendant, she came back to the course in January after completing her marketing degree. Power is now helping to re-shape the accommodations at Tiffany Greens. The club is hoping to increase their wedding and receptions business. The ballroom, which can hold up to 200 guests, has been completely re-vamped. Besides the ballroom, the clubhouse also has a dining room which can accommodate 50 guests. The pub is also an option for gatherings of any degree of formality and it holds up to 80 people, providing an ideal environment for corporate outings and tournaments. Martin, who owns investment advisory firm Martin Financial Group, attends some of the social events at the club and also entertains clients on the course, as does Trueblood. Trueblood also enjoys working with the staff at Tiffany Greens. 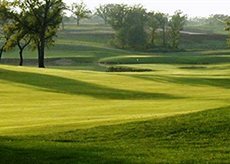 The club is open to the public but also offers memberships which allow advance tee times and a variety of discounts as well as access to some tournament play and leagues. About 230 members enjoy the course and many of them also participate in the leagues and tournaments.